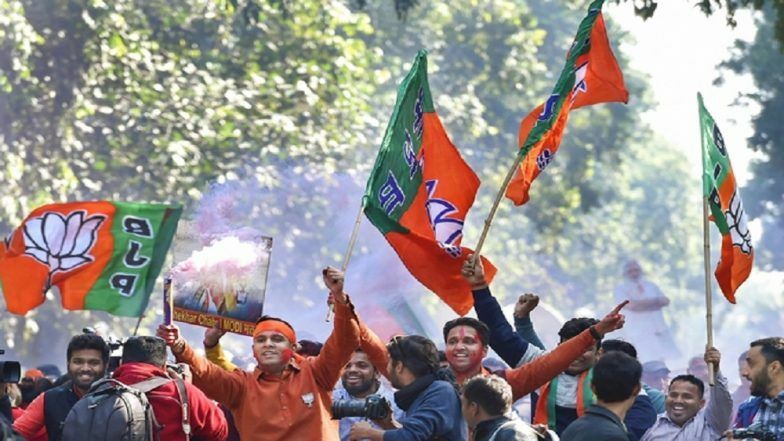 New Delhi, April 14: The Bharatiya Janata Party (BJP) on Sunday released its 20th list of 6 candidates for the upcoming Lok Sabha Elections 2019. In the list, the BJP has announced two candidates for Haryana, three for Madhya Pradesh and one candidate for Rajasthan. The party also named one candidate for by-elections to the legislative assembly for Uluberia Purba assembly constituency in West Bengal. BJP Manifesto Promises 'Laws to Commit Crime Against Women', Twitter Goes Berserk at Gaffe. In Haryana, the saffron party has given a ticket to Union Minister Chaudhary Birender Singh's son Brijendra Singh to contest from Hisar, Arvind Sharma is fielded from Rohtak. In Madhya Pradesh, Bishnu Datt Sharma will contest from Khajuraho, GS Damor from Ratlam (ST) and Chattar Singh Darbar from Dhar (ST). From Rajasthan's Dausa, the ruling party has given a ticket to Jaskaur Meena. After Birender Singh's son Brijendra Singh got the ticket from Hisar. The Union Minister offered to resign from the cabinet and Rajya Sabha to party president Amit Shah. BJP Manifesto For 2019 Lok Sabha Elections Full Text: From Construction of Ram Temple to Uniform Civil Code, Here's A List of Promises. Earlier, BJP in the 19th list announced one candidate for Lok Sabha Elections 2019. The Saffron Party as a part of its 19th list named Union Minister SS Ahluwalia from West Bengal‘s Bardhaman-Durgapur Parliamentary Seat. The Party also named Asis Kumar Biswas from Krishnaganj (SC) seat for bye-elections in the state.